Home / blog roll / The Holy Grail — Is it an Ozzy Osbourne acetate?? What a strange week this has been and all due to one record. Is this Ozzy Osbourne singing? Record dealers hunt for records in the hope that they will find something so rare and unusual – the Holy Grail moment if you like. Well Pete might or might not have found his. As usual Pete has been answering calls and running about looking for records and collections. He has always dreamt of finding his Holy Grail and in the past has been too excited to sleep in case the call tomorrow was the one! Well, after 30 years of dreaming Pete thought he had found what would probably be the most important disc of his career and to say he was excited is an understatement. After a while on search engines Pete came up with a link to an Official Website that stated, “John ‘Ozzy’ Osbourne’s 1st music experience was in a band called THE PROSPECTORS, which also included future Polka Tulk slide guitarist Jimmy Phillips”. We thought “nah, can’t be!” but then we listened to the 2 sides and it definitely sounds like Ozzy to us. This was 5 years before Black Sabbath so a much younger Ozzy, but his style is there in it’s infancy. The acetate is a recording of two Blues tunes: “LONESOME ROAD BLUES” and” THAT’S ALRIGHT” (not the Elvis tune). This record DOES NOT EXIST!! It is undocumented and never before heard. The band are even listed in a Sabbath History as “(Never Existed? )” so there are questions unanswered about this early part of Ozzy’s career. As a hunter of rare records you can imagine how Pete feels about this discovery and how important it would be for the history of Birmingham music, Black Sabbath and Heavy Metal – Ozzy’s very first recording session. So, Pete set to trying to authenticate this, with the help of the media. 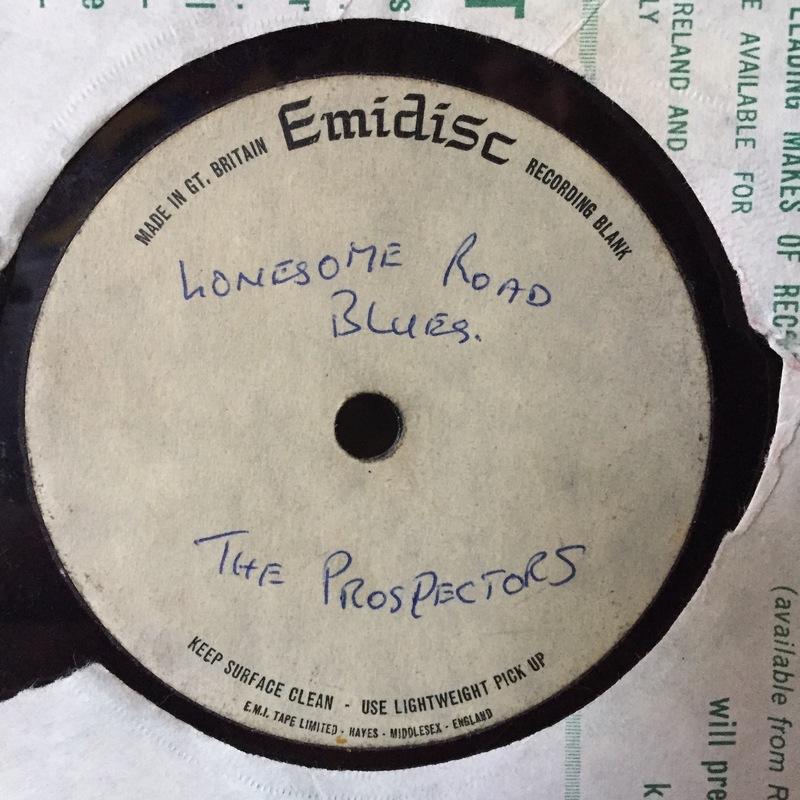 After around 6 months of searching I have finally had a telephone call to Alan Philips from the PROSPECTORS, to confirm that yes it is them, this was recorded in a small Brum Studio around 1965, they made 5 copies, he doesn’t have one, and NO it is not Ozzy singing, it is Alan himself – who Ozzy must have taken his singing style from as it matches so closely. Ozzy did audition for the band but didn’t cut the mustard so to speak. Alan is popping into the shop soon to have a chat and to hear his efforts for the 1st time in 50 years ! Sounds full of fascinating stories of the Brum music scene from the 60’s. Shame as it’s not the once in a lifetime gem I was hoping for but it is Ozzy’s first band, and still a nice piece of Birmingham musical heritage.